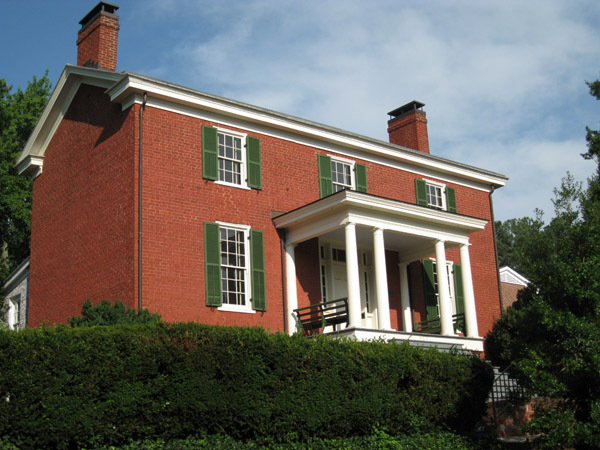 Comments: The Blair (Tipton) House at 620 Harrison Street was built between 1842-1844 and is a two-story, brick house constructed over a raised cellar and featuring a paired-column portico. The brick wall at the house's front is Flemish bond; the side walls are built of American-bond brick. 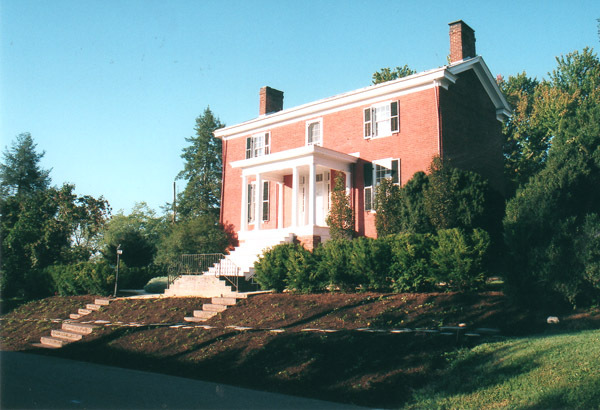 In 1875, John T. and Martha (Wade) Blair purchased this home, and the Blair family lived in this house until 1926 when it was sold to George T. Omohundro. When the Civil War began in 1861, John T. Blair served the Confederacy first as a Sergeant with Company C, 19th Virginia Infantry, and was elected a 1st Lieutenant in 1962, assigned Commissary duties. Upon his return to Scottsville, John married Martha M. Wade in January 13, 1864, and went to work rebuilding his family farm. After purchasing this home in 1875, the Blairs raised their three children here: Joseph P. Blair, Dot Blair, and Dimple Blair. John became a successful merchant in Scottsville before he passed away in 1895. 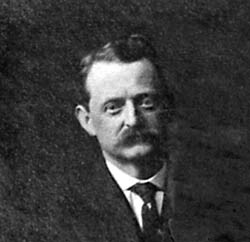 The Blairs' son, Joseph P. Blair, became a prominent dentist in Scottsville with offices near Mink Creek on Main Street. He married Susie Powers on April 1, 1895 in Scottsville, and they raised a daughter, Miss Susie Blair. Dr. Blair was a very respected and prominent figure in affairs of Scottsville and Albemarle County for many years. He served for many years on the Scottsville Town Council, and on the Scottsville District and Albemarle County school boards for 37 years. At his death in October 1, 1931, Dr. Blair was the only chairman the Albemarle County School Board had ever had.